The Endurance Club is dedicated in helping all levers of triathletes, road racers, sportive riders, duathletes, runners, ultra marathon runners and endurance athletes the chance to realise their goals. Our coaching methods vary depending on the athletes experience and ability and why each program is bespoke and tailored to each athlete and around their lifestyle and goals. As such training plans are fully customisable and flexible as we understand things change in your life at short notice. I am owner / head coach of TheEnduranceClub and have been racing triathlons since 1990 worldwide to an elite level. I raced many World Triathlon Championships in Olympic, 70.3 / Half Ironman and Ironman, and in 2007 I qualified at the ITU age group World Olympic, WTC Ironman 70.3 and Ironman World Championships (the only athlete to do so this year as far as I am aware). I was the fastest British finisher overall (including all professional athletes) at the Ironman World Championships in Kona, Hawaii in 2004. I have a PB of 50mins in a sprint triathlon (750m / 20k / 5k), Olympic (non-drafting) in 1:54min, 70.3 in 4:04hr, and Ironman in 9:15hr. I raced 100's of running races 5km in 15:30, 10k in 33:03, 1/2 marathon in 1:12hr, marathon in 2:38min, 55km ultra trail hilly marathon in 4:45min (2nd overall). I am full time endurance coach since 1999 and was the Head Coach for Horsham Amphibians Triathlon in West Sussex, UK and am an Elite Coach with Peaks Coaching Group. I use a variety of periodised training methods and many of my athletes use training tools like a power meter, heart rate monitor, GPS monitor, and some use no 'gadgets' at all. I work with what you have available to deliver cutting edge bespoke training programs that work around your lifestyle! 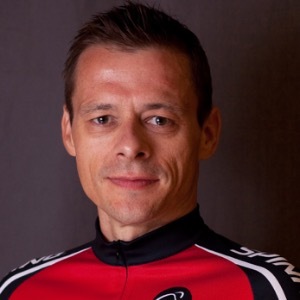 Since 2002 I travel the world as a Spinning® and SPINPower® Master Instructor, coaching and educating 1000's of Spinning® / indoor cycling instructors. I live in Richmond, Virginia, USA with my wife Vivian. All athletes must be able to communicate through email or skype / facetime / whatsapp and if possible upload training data to TrainingPeaks for analysis. Consistent training is king! Success. Coach Mark Tickner has been notified of your message.